1. Keshishyan E.S., Tsaregorodtsev A.D., Ziborova M.I. Health and development of children born after in vitro fertilization. Rossiiskii vestnik perinatologii i pediatrii = Russian bulletin of perinatology and pediatrics. 2014;5:15–25. 2. Sandin S., Nygren K.G., Iliadou A. Autism and mental retardation among offspring born after in vitro fertilization. JAMA. 2013; 310 (1): 75–84. 3. Korsak V.S., Smirnova A.A., Shurygina O.V. Register ART centers of Russia. The report for the 2012 period. Problemy reproduktsii = Problems of reproduction. 2014;5:13–15. 4. Noskova Yu.O. Multiprotectional vitrification of oocytes. Creating and application of donors’ oocyte Cryobank: experience of the clinic, "Mom". Problemy reproduktsii = Problems of reproduction. 2014;17(6):46–50. 5. Van Hoeck V., Sturmey R.G., Bermejo-Alvarez P., Rizos D., Gutierrez-Adan A., Leese H.J., Bols P.E., Leroy J.L. Elevated non-esterified fatty acid concentrations during bovine oocyte maturation compromise early embryo physiology. PloS one. 2011; 6: 23183. 6. Leary С., Leese HJ., Sturmey R.G. Human embryos from overweight and obese women display phenotypic and metabolic abnormalities. Human Reproduction. 2015; 30 (1): 122–132. 7. Okhtyrskaya T.A., Yavorovskaya K.A., Shurshalina A.V. Role of PAI-1 in the repeated failures of ART. Problemy reproduktsii = Problems of reproduction. 2011;17(4):45–49. 8. Anshina M.B., Shamugiya N.L., Smirnova A.A. Comparative evaluation of the efficacy and safety triggers ovulation in assisted reproduction programs. Problemy reproduktsii = Problems of reproduction. 2011;17(5):70–74. 9. Fes'kova A.M., Zhilkova E.S., Bezpechnaya I.M., Blazhko E.V., Fes'kov V.A. Research aneuploidies of chromosomes X, Y, 18.21 in the nuclei of sperm in men with asteno and oligoasthenospermia. Problemy reproduktsii = Problems of reproduction. 2012;18(1):77–78. 10. Khayat S.Sh. Ultrastructural and genetic basis of the motor activity of the sperm flagella. Andrologiya i genital'naya khirurgiya = Andrology and genital surgery. 2012;1:59–61. 11. Jackson R.A., Gibson K.A., Wu Y.W. Perinatal outcomes in singletons following in vitro fertilization: a meta-analysis. Obstet. Gynecol. 2004; 103 (3): 551–563. 12. Kallen B., Finnstrom O., Nygren K.G. In vitro fertilization in Sweden: child morbidity including cancer risk. Fertil. Steril. 2005; 84 (3): 605–610. 13. Healy D.L., Breheny S., Halliday J. Prevalence and risk factors for obstetric haemorrhage in 6730 singleton births after assisted reproductive technology in Victoria Australia. Hum. Reprod. 2010; 25 (1): 265–274. 14. Romundstad L.B., Romundstad P.R., Sunde A. Effects of technology or maternal factors on perinatal outcome after assisted fertilization: a population based cohort study. Lancet. 2008; 372: 737–743. 15. Pinborg A., Wennerholm U.B., Romundstad L.B., Loft A., Aittomaki K., Soderstrom-Anttila V., Nygren K.G., Hazekamp J., Bergh C. Why do singletons conceived after assisted reproduction technology have adverse perinatal outcome? Systematic review and meta-analysis. Hum. Reproduction Update. 2013; 19 (2): 87–104. 16. Lu Y., Wang N. Long term follow up of children conceived through assisted reproductive technology. J. Zhejiang Univ. Sci B. 2013; 14 (5): 359–371. 17. Kopylova I.V., Vityazeva I.I. Health and endocrine status of children born with the help of methods of assisted reproductive technology. Problemy endokrinologii = Problems of endocrinology. 2012;1:54–60. 18. Mansimova V.O. Sostoyanie zdorov'ya i kachestvo zhizni nedonoshennykh detei grudnogo vozrasta, rodivshikhsya posle ekstrakorporal'nogo oplodotvoreniya. Avtoref. dis…kand. med. nauk [Health Status and Quality of Life in Preterm Infants, Born after in Vitro Fertilization. Author’s abstract]. Moscow, 2011. 24 p.
19. Kleshchenko E.I., Zhdanova I.A., Lukisha A.I. Sostoyanie zdorov'ya detei pri mnogoplodnoi beremennosti posle EKO. Materialy pervogo mezhdunarodnogo kongressa po perinatal'noi meditsine i VI ezhegodnogo kongressa RASPM [Health Status of Children in Multiple Pregnancies after IVF. Proceedings of the First International Congress of Perinatal Medicine and the VI Annual Congress RASPM]. Moscow, 2011. 94 p.
20. Finnstrom O., Kallen B., Lindam A. Maternal and child outcome after in vitro fertilization — a review of 25 years population based data from Sweden. Acta Obstet. Gynecol. Scand. 2011; 90 (5): 494–500. 21. Sazonova A., Kallen B., Thurin-Kjellberg A. Obstetric outcome in singletons after in vitro fertilization with cryopreserved/thawed embryos. Hum. Reprod. 2012; 27 (5): 1343–1350. 22. de Mouzon J., Goossens V., Bhattacharya S. Assisted reproductive technology in Europe, 2006: results generated from European registers by ESHRE. European IVF monitoring (EIM) Consortium, for the European Society of Human Reproduction and Embryology (ESHRE). Hum. Reprod. 2010; 25 (8): 1851–1862. 23. Sakharova G.M., Antonova N.S. Tobacco and reproductive function. Russkii meditsinskii zhurnal = Russian medical journal. 2013;1:12–21. 24. Kiselev A.M., Konovalov O.E. Reproductive health of women of late reproductive age as a medical and social problem. Rossiiskii mediko-biologicheskii vestnik im. akad. I.P. Pavlova = . I.P. Pavlov Russian biomedical bulletin. 2011;2:42. 25. Zhang Y., Cui Y., Zhou Z. Altered global gene expressions of human placentae subjected to assisted reproductive technology treatments. Placenta. 2010; 31 (4): 251–258. 26. Savel'eva G.M., Kurtser M.A., Karachunskaya E.M. The health of children born after IVF. Akusherstvo i ginekologiya = Obstetrics and gynecology. 2010;5:49–54. 27. Davies M.J., Moore V.M., Willson K.J. Reproductive technologies and the risk of birth defects. N. Engl. J. Med. 2012; 366 (19): 1803–1813. 28. Wen J., Jiang J., Ding C. Birth defects in children conceived by in vitro fertilization and in tracytoplasmic sperm injection: a meta-analysis. Fertil. Steril. 2012; 97 (6): 1331–1337. 29. Fedder J., Loft A., Parner E.T. Neonatal outcome and congenital malformations in children born after ICSI with testicular or epididymal sperm: a controlled national cohort study. Hum. Reprod. 2013; 28 (1): 230–240. 30. Reefhuis J., Honein M.A., Schieve L.A. Assisted reproductive technology and major structural birth defects in the United States. The National Birth Defects Prevention Study. Hum. Reprod. 2009; 24: 360–366. 31. Rimm A.A., Katayama A.C., Diaz M. A meta-analysis of the impact of IVF and ICSI on major malformations after adjusting for the effect of subfertility. J. Assist. Reprod. Genet. 2011; 28 (8): 699–705. 32. Belva F., De Schrijver F., Tournaye H., Liebaers I., Devroey P., Haentjens P., Bonduelle M. Neonatal outcome of 724 children born after ICSI using non-ejaculated sperm. Hum. Reprod. 2011; 26 (7): 1752–1758. 33. Wu C., Morris J.R. Genes, genetics, and epigenetics: a correspondence. Science. 2010; 5532: 1103–1105. 34. Kitsui S., Xaidaru A., Giannikou K. De novo interstitial duplication of the 15q11.2–q14 PWS/AS region of maternal origin. Am. J. Med. Genet. 2010; 152 (8): 1925–1932. 35. Tomizawa S., Sasaki H. Genomic imprinting and its relevance to congenital disease, infertility, molar pregnancy and induced pluripotent stem cell. J. Hum. Genet. 2012; 57 (2): 84–91. 36. Henningsen A.K., Pinborg A., Lidegaard Q. Perinatal outcome of singleton siblings born after assisted reproductive technology and spontaneous conception: Danish national sibling cohort study. Fertil. Steril. 2011; 95 (3): 959–963. 37. Vermeiden J.P., Bernardus R.E. Are imprinting disorders more prevalent after human in vitro fertilization or in tracytoplasmic sperm injection? Fertil. Steril. 2013; 99 (3): 642–651. 38. Uyar A., Seli E. The impact of assisted reproductive technologies on genomic imprinting and imprinting disorders. Curr. Opin. Obstet. Gynecol. 2014; 26 (3): 210–221. 39. Savage T., Peek J., Hofman P.L., Cutfield W.S. Childhood outcomes of assisted reproductive technology. Hum. Reprod. 2011; 26 (9): 2392–2400. 40. 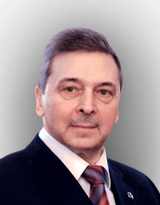 Nazarenko T.A., Zyryaeva N.A. The birth of a child with Beckwith-Wiedemann syndrome patient after applying IVF / ICSI (case). Problemy reproduktsii = Problems of reproduction. 2014;3:58–61. 41. Strawn E.Y., Bick D., Swanson A. Is it the patient or the IVF? Beckwith–Wiedemann syndrome in both spontaneous and assisted reproductive conceptions. Fertil. Steril. 2010; 94 (2): 754. 42. Colls P. Validation of array comparative genome hybridization for diagnosis of translocations in preimplatati on human embryos. Reprod. Biomed. 2012; 24 (6): 621–629. 43. Makhoul I.R., Tamir A., Bader D. In vitro fertilization and use of ovulation enhancers may both influence childhood height in very low birth weight infants. Arch. Dis. Child Fetal. Neonatal Ed. 2009; 94 (5): 355–359. 44. Dumoulin J.C., Land J.A., Van Montfoort A.P. Effect of in vitro culture of human embryos on birthweight of newborns. Hum. Reprod. 2010; 25 (3): 605–612. 45. Belva F., Bonduelle M., Painter R.C. Serum inhibin B concentrations in pubertal boys conceived by ICSI: first results. Hum. Reprod. 2010; 25 (11): 2811–2814. 46. Belva F., Roelants M., Painter R. Pubertal development in ICSI children. Hum. Reprod. 2012; 27 (4): 1156–1161. 47. Beydoun H.A., Sicignano N., Beydoun M.A. A cross sectional evaluation of the first cohort of young adults conceived by in vitro fertilization in the United States. Fertil. Steril. 2010; 94 (6): 2043– 2049. 48. Scherrer U., Rimoldi S.F., Rexhaj E. Systemic and pulmonary vascular dysfunction in children conceived by assisted reproductive technologies. Circulation. 2012; 125 (15): 1890– 1896. 49. Hart R., Norman R.J. The longer-term health outcomes for children born as a result of IVF treatment. Part II. Mental health and development outcomes. Hum. Reprod. Update. 2013; 19 (3): 244–250. 50. Yeung E.H., Druschel C. Cardiometabolic health of children conceived by assisted reproductive technologies. Fertil. Steril. 2013; 99 (2): 318–326. 51. Wagenaar K., van Weissenbruch M.M., van Leeuwen F.E. Self reported behavioral and socioemotional functioning of 11 to 18 year old adolescents conceived by in vitro fertilization. Fertil. Steril. 2011; 95: 2: 611–616. 52. Wagenaar K., van Weissenbruch M.M., van Leeuwen F.E. Behavior and socioemotional functioning in 9–18 year old children born after in vitro fertilization. Fertil. Steril. 2009; 92 (6): 1907–1914. 53. Xing L.F., Qu F., Qian Y.L. The social adaptation of children born after ICSI compared with IVF-conceived children: a study from China. J. Obstet. Gynaecol. 2011; 31 (8): 751–753. 54. Wilson C.L., Fisher J.R., Hammarberg K., Amor D.J., Halliday J.L. Looking downstream: a review of the literature on physical and psychosocial health outcomes in adolescents and young adults who were conceived by ART. Hum. Reprod. 2011; 26 (5): 1209–1219. 55. Hvidtjorn D., Grove J., Schendel D. Risk of autism spectrum disorders in children born after assisted conception: a population based follow up study. J. Epidemiol. Community Health. 2011; 65 (6): 497–502. 56. Report from XXIV Intern. Conf. of Russian Association of Human Reproduction. Problemy reproduktsii = Problems of reproduction. 2014;5:6. 57. Information letter from the International Society for PGD. Report XIII International Conference on PGD. Problemy reproduktsii = Problems of reproduction. 2014;5:73. 58. Henningsen A.A., Gissler M., Skjaerven R., Bergh C., Tiitinen A., Romundstad L.B., Wennerholm U.B., Lidegaard O., Ander-sen A.N., Forman J.L., Pinborg A. Trends in perinatal health after assisted reproduction: a Nordic study from the CoNARTaS group. Hum. Reprod. 2015; 30 (3): 710–716. 59. Mansimova V.O. Current state of health of children born as a result of assisted reproductive technology. Pediatricheskaya farmakologiya = Pediatric pharmacology. 2011;8(2):27–31. 60. Kitaev M. Not the quantity but the quality: the strategy of choice. Problemy reproduktsii = Problems of reproduction. 2014;3:62–66.